An average US household has 30 loyalty cards, of which 54% are inactive. The number is even higher for the APAC region. Customers, who shopped more often at retailers due to their loyalty offerings, have dropped from 34% (2013) to 28% (2016). Retail loyalty is very common, but still the hardest nut to crack. The retail market is typically very fragmented leading to intense price competition among brands, which they counter by offering discounts to attract customers. As a result, customers’ choice of brand depends on the tangible value offered, encouraging a cherry-picking mentality. This leads to a transactional relationship between customers and brands, thus, increasing the risk of losing customers. Besides, given low retail margins, discounts are marginal (0.5%-5%, lower in grocery, fuel retail) and aren’t enough to retain customers. A solution for this is non discount-based rewards, which require brands to have enough assets to offer as rewards/benefits. However, retail brands lack assets, except for shopping mall or fuel retail programmes that can leverage their value-add services such as parking, car washing, etc, as programme rewards/benefits. One might argue partnerships can help brands build assets for programme benefits. However, most brands tend to operate in silos. These factors make retail loyalty truly challenging. The brands which are performing better than the others are adopting one or more of the below best practices. Data-driven personalised below-the-line targeting: By recording customer interests and preferences and mapping their behaviour over time, brands can better target their customers with relevant curated offers, improving take-up rates and maximising member value. The CVS Pharmacy ExtraCare programme, US, is a leading example of building emotional loyalty even through discount-based offers. CVS identifies customer purchase motivations, price sensitivity and overlays with demographic details to segment customers and send them relevant offers. As a result, CVS has seen a 38% growth in average weekly spend and 2x increase in redemption rates. Also, with targeted campaigns, CVS has been able to grow 30% of its shoppers to generate 80% of its front-end revenues. Offer choice of rewards and benefits through partners: Partnering with complementing brands helps retailers differentiate their programme and overcome the challenge of limited assets. Intelligent brands leverage co-brand and coalition models to not only provide customers breadth of offerings, but also gain access to huge customer lifestyle data, beyond retail stores. Aimia has worked with MAP Indonesia, the largest lifestyle retailer in Indonesia, to develop a group programme covering more than 150 brands, including sports, food and beverage, lifestyle, etc, to offer members a huge spread of earn and reward options across 1792 outlets in 58 cities. The programme has 48% sales penetration and members spend 75% more than non-members. Deliver true convenience, enabled via a “friction-free” omni-channel experience: Providing a seamless and consistent experience across all channels, be it a physical store, desktop or mobile, helps brands deliver a customer-centric strategy. Companies with well-defined omni-channel customer experience management programmes achieve a ~91% higher year-on-year increase in customer retention rates. 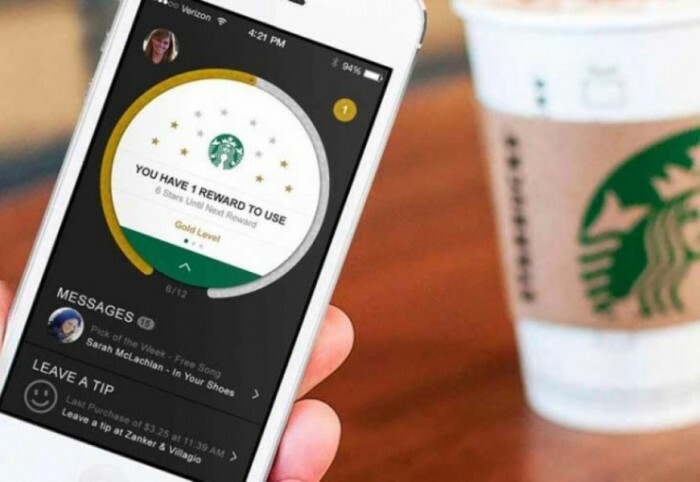 Starbucks Rewards USA is a classic example of omni-convenience. Any changes in customer profiles or points balances are updated in real-time across all channels, letting members stay in-the-know, no matter whether they are using a mobile app, website or checking at point of sale. The programme has a more than 94% retention rate. Game mechanics to build excitement among members: Retail primarily comprises utility items, which customers buy on a pure value basis. Game mechanics provide customers something to look forward to, thus, building an emotional connection and introducing novelty in “me-too” programmes. Game mechanics, when seamlessly weaved into the brand’s engagement strategy, can capture meaningful customer insights that can be leveraged for various strategic and tactical initiatives. Topaz Ireland, the fuel retail brand, which was struggling in the market due to its premium pricing, successfully leveraged gamification by allowing members to either “park or play” their points. The winners receive experiential rewards such as a free vacation and others get consolation prizes such as free coffee, sandwiches, etc. Within a year of the launch, the brand saw 18% increase in average transaction value of loyal members; 23% of customers switched to Topaz because of the programme. While current best practices have helped brands perform better, these may not be enough for a sustained benefit. Technological disruptions are changing the way customers perceive brands and their “relationship” expectations are evolving. Timely adoption of emerging technologies is key to an innovative loyalty strategy. Identify more clearly which customer segments should be included or excluded from campaigns. Deliver hyper personalised segment-of-one experiences and better match products to customers. Pre-empt customers’ needs and behaviour to take tactical decisions to drive desired behaviour. Sephora, the French beauty retail brand, in the US, deploys machine learning algorithms to personalise product recommendations and optimise digital channels for easy discoverability. Its artificial intelligence-enabled chatbots address consumer queries promptly and engage them through a mini quiz to understand their make-up preferences. The brand has seen a 6x ROI through personalised product recommendations, website account banners and loyalty prompts. Like Sephora, brands can leverage AI to gather more attitudinal insights and deliver enhanced benefits such as AI-enabled personal shoppers. Display offers on the go, while also guiding members to the exact shelf to pick up the product. Allow customers to virtually experience the product, for both e-commerce and offline brands. Curate innovative game mechanics such as Pokémon Go. L’Oréal USA, the beauty giant, has several AR apps such as Makeup Genius and Style My Hair that lets users apply make-up and hair looks to their selfies before buying a product. The brand is running attribution models to analyse the impact of sampling on purchase conversions. According to the chief digital officer at L’Oréal, this is an immense source of data to understand what consumers like in terms of colours, looks, texture, and helps them deliver relevant make-up collections. Delivering enhanced value through loyalty alliances: The future of retail loyalty lies in mini coalitions which bring non-competing brands within one ecosystem. It will deliver true value and convenience to customers. Establishing coalitions, in our experience, is a complex task that takes time and knowledge, but it can be done if the retail brand has the patience and funds. The trend for retail loyalty alliance is slow, but picking up. The F&B sector is an established adopter of this business model. Storellet, Hong Kong, an F&B loyalty aggregator app, lets users earn and burn points across more than 200 restaurants and receive relevant offers. The programme has a 400% usage rate compared with traditional loyalty programmes. However, the true potential of coalitions can only be realised through cross-industry partners to consolidate broader share of customer spend. The emergence of modern technologies such as blockchain can boost the potential for coalitions by allowing secure and instant currency exchange across one common platform. A futuristic retail loyalty programme will be truly customer-centric, talking to members in real-time and covering all their needs, while delivering a true omni-channel experience. The days of a “one-size-fits-all” marketing strategy are long gone. Disruption is the norm.